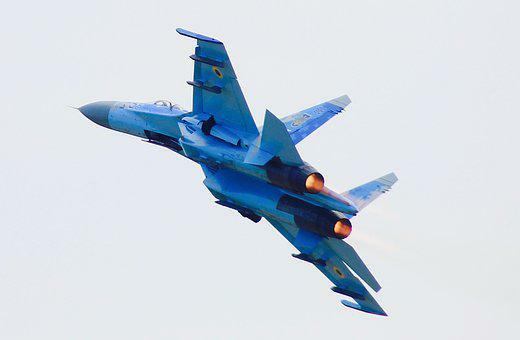 Many nations in the world are turning to the Russian made Su27 in the present period as the fighter aircraft of choice for their military air force. No, not even close, but realize that indeed it’s available to all nations as Russia does not discriminate to hostile or rogue countries in their arms deals; you got the cash, they got the planes and they are building more. So, why is everybody buying these aircraft and what is it that makes it so good anyway? There have been several modifications and refinements and today it is really not a player anymore. The Su-27 was much in response to the F-15 and it was competing with the Mig 29 Fulcrum in Russia at that time too. Interestingly enough in the long run the US won’t even have pilots in their aircraft and with morphing wings, 18″G” UAVs and speed of light transmissions, target identification and hypersonic speeds the conflicts will be over before they begin. Increased range and Artificial Intelligence, laser shooting, the game will be over for a piloted aircraft interceptor. That’s basically the reality and really it is only physics, simple stuff really, that’s where the US is at in tech? It’s Not like the old days out making the Germans better technology with 10’s of thousands of B-17s, B-24s, P-51s, or the Japanese light weight maneuverable Zero’s made of plywood or Kate Torpedo Bombers with Hellcats, Corsairs, SBDs and Avengers. You need to select a lot better technology if you want to be taken seriously. Like the SU-33 that China is buying 50 of. Because even as Venezuela talks of buying Mig 29s, that is not actually a threat to the USA. Now remember that Russian Lt. Gen. Igor Khvorov, the commander of Russian long-range aviation spanned over the North Pole undetected to prove it’s something to sell China besides just the Russian Su-33. A recent exercise included 70 Tu-160, Tu-95 and Tu-22M3 bombers, which test-fired 18 cruise missiles and a few of these bombers crossed the Arctic Ocean and flew over the North Pole and also reached Alaska, while others crossed the Aleutian Islands and Japan’s western coast without entering any country’s airspace. If you want to frighten people, you need to use different aircraft and more plausible scenarios, Still all in all, USA is a lot better than you think with micro-tethered satellites and getting into the kill zone of a battle group or US controlled airspace? Well you are really going to have to work on it or you are toast you see? Perhaps of interest in thinking about the Su-27 and Russian military aircraft for sale to the highest bidder in 2007.